My smaller practice size allows me to devote more time to each patient’s care and individual needs. There will be little or no office waiting room time and appointments will start promptly. This practice model offers time to schedule approximately 60 minutes for the Comprehensive Annual Health Assessment and approximately 30 minutes for routine appointments. If a problem requires extra time for evaluation, I will accommodate you to the best of my ability. Also, our communication will be enhanced through patient-dedicated cell phone and email. At which hospitals will you be on staff? I am on staff at Torrance Memorial and Providence Little Company of Mary Medical Centers. No. The annual fee only includes services and benefits described that are not covered by Medicare (or any other payor) and that will not be paid for or reimbursed by Medicare. Your annual fee pays for membership in the practice and for many other non-covered benefits. All procedures and services not performed in my office will be billed by the performing physician and/or entity. If the problem is minor, call me first. However, if you have a life-threatening emergency, call 911 immediately – then call me. With the exception of controlled substances, most prescriptions can be ordered anywhere in the country. If you seek care at an emergency room or urgent care center out of my area, I would request that you have the doctor seeing you call me for coordination. I will be readily available for phone consultation with you and/or other healthcare personnel. If you should require hospitalization while away, at your request I will attempt to establish regular phone communication with you and your attending physician(s) to ensure continuity of care. Yes. Paying your annual fee allows you to be a member of my practice whether you are sick or well. I strongly encourage you to utilize the benefits offered, regardless of your state of health, to proactively safeguard your well-being. My office is located at 3655 Lomita Blvd., Suite 318, Torrance, CA 90505. Will you be a ‘Provider’ on my insurance plan? Yes. I intend to remain an in-network provider for most major PPO insurance plans and will bill your insurance directly for office visits (office visit charges are not included in your annual fee). Due to their restrictive nature, I am unable to accept HMO insurance plans. If the terms of your insurance plan require a co-pay, I am obligated to request payment at the time of service. Even if I am not a provider for your insurance plan, I will attempt to refer you to in-network physicians for any necessary consultations and to in-network facilities for diagnostic tests and hospitalizations as medically indicated. Those services will likely be covered by your insurance plan. Will you be a Participating ‘Provider’ for Medicare? Yes. My office will file your claims with Medicare as well as with your supplemental insurer on your behalf, as required by law. For any patients who have a Medicare Advantage plan, office visit fees that are not reimbursed by insurance will be the responsibility of the patient. In some instances, the annual fee may be payable through your HSA. You are advised to consult with your FSA or HSA plan administrator, employer, HR representative or tax advisor to clarify qualification in your particular circumstance. Please know that you can contact me at any time. However, if you have a life-threatening emergency, call 911 immediately. You can then call me or ask the hospital personnel to contact me so I may assist in your care. If you have a non-urgent problem, please contact me first. Should you desire, I am available to help you decide which specialist to see and to coordinate such consultations. This will ensure the most appropriate resource is used, the earliest arrangements are made, and your applicable medical information is sent in advance of your specialist visit. What are Dr. Tong’s credentials? 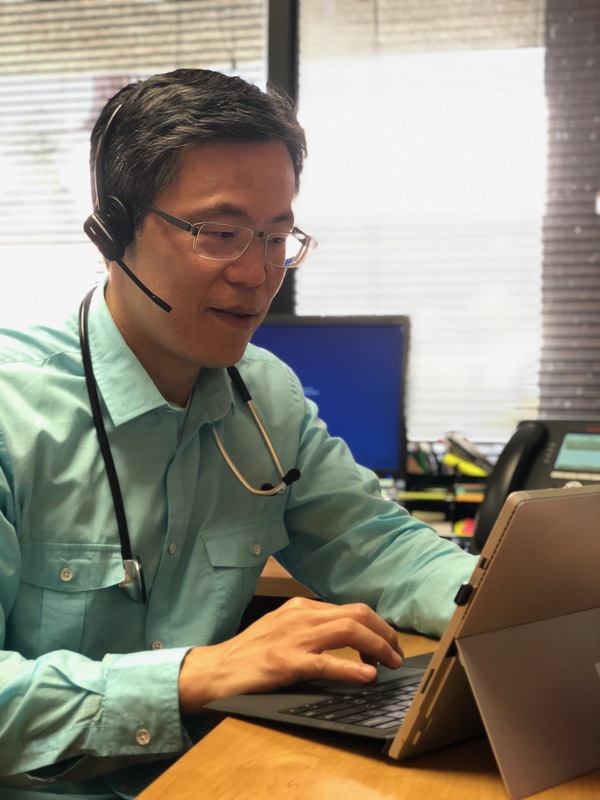 Dr. Tong is board certified in family medicine and affiliated with both Torrance Memorial and Providence Little Company of Mary Medical Centers. He earned his undergraduate degree at UC-Davis and attended medical school at UCLA.